When You Perform a Search for Your Brand on Google.com.au, What Shows Up? 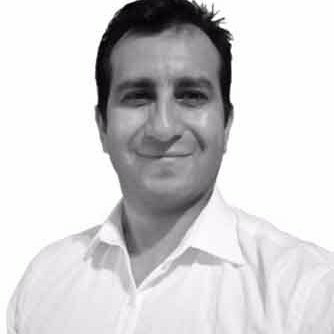 One of the main reasons to assertively bid on your own Australian brand phrase is defense. If you don’t bid on your own brand, someone else is sure to. It pays to be observant! The best ways to be seen on Google are through PPC Search Ads.When your competition promotes an alluring offer through a Paid Ad, it will get attention. Have variations of your keyword that incorporates a service or product you sell with your Australian brand. For instance, look at the phrase, “Jetstar Flights to Sydney“. The “Flights to Sydney” aspect of the search query will enhance the likelihood of more competition showing up in the in the auction, regardless of whether they’re targeting your brand terms actively. Pure PPC Branded Keywords – What Are They? Typically, pure brand keywords are the 1-5 brand keywords in an account that don’t contain any generic aspects. For example, in the “Tigerair” brand name, [tigerair] and [tiger air] are the pure brand keywords. Bids on pure brand keywords are under the microscope since 99.9% of the time the brand website is organically ranked on the top position for such terms, and these positions usually come with fully-expanded site links. 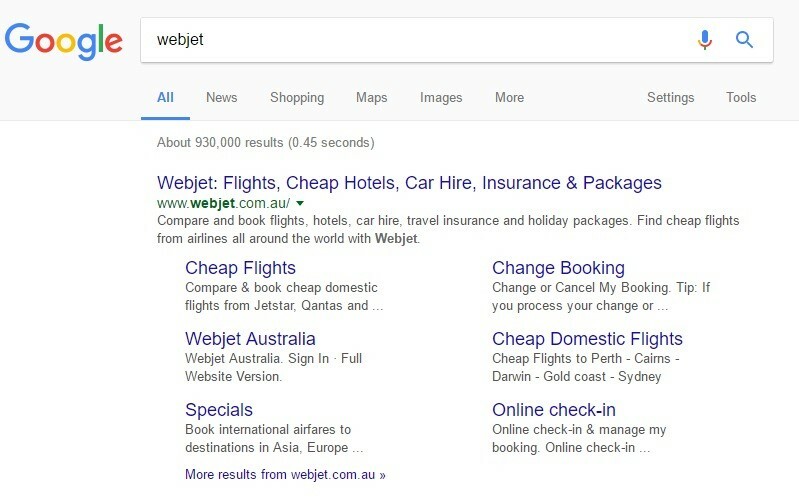 Here is an example of a SERP for [webjet] in Australia. At first glance, it wouldn’t seem prudent for Webjet to begin bidding on their own pure brand term since they would merely be paying for sales and clicks that would occur anyway from their organic listings. In this instance, clicks to the website would substantially increase if they were to bid on this keyword. If there were to be a slow rise in traffic for this keyword, it will probably be very minor and won’t justify the extra cost. Last but not least, even though the cost per click will be quite small, these clicks will still be more expensive than the free clicks generated by the organic listing. Competitors won’t be afraid to bid on your branded keywords if it helps them. But if you have solid copy laid out with fully implemented ad extensions, it won’t be long before their cost per click is at least $5, and their quality score is 1. You get free advertising through organic listings, but they aren’t terribly alluring. Paid ads provide you with a chance to develop an eye-catching message. Australian searchers will be encouraged to browse your website. Be mindful that your organic results may not take searchers to your intended landing pages. Capitalize on paid per click ads and refer your searchers to landing pages that convert well. Use Product Listing Ads, sitelinks, and other formats that engage the searcher. The downside of organic listings is that they typically take the searcher to your homepage. You have more control with a PPC ad. Perhaps you want to promote an upcoming sale, or you want to direct traffic to a sign-up page of some sort. You decide what page the user is sent to with PPC ads. Your competition may already be bidding on your branded terms if they have a strong PPC strategy in place. Therefore, if a searcher performs a query for your business, they’ll see your organic listings behind a vibrant, call-to-action ad promoting your competition. As such, traffic that would normally be sent to your website will now be directed to the intended landing pages of your competitor. Even though you can control sitelinks within the Google Search Console, usually your PPC sitelinks can be controlled better. You can use your PPC sitelinks to advertise offers and upcoming sales or send users to intended category or product pages. You can even direct users to the sign-up page for a newsletter subscription. You can always conduct some A/B testing to determine which combinations are most effective. Everyone is always on the lookout for cheap keywords with substantial search volume. Your own brand name might be one of those keywords! Don’t rely on just the name of your business – bid on your domain name or specific services and products you offer. These keywords are budget-friendly and can generate several of your highest Quality Scores and click-through rates. A practical approach to measuring long-term brand awareness is to bid on your pure PPC brand terms. How is the growth development of your brand? How is it being altered on different devices? Did your TV-campaign have any effect? You can get real-time answers to all these marketing questions with a branded ad campaign. Those who are conducting queries for your branded terms already are familiar with your business. They might have been referred to your company by family, friends, or work acquaintances. Regardless of how they know you, they are aware that you can provide them with what they’re looking for, and are probably deep into the buying cycle, more so than a window shopper who is Googling generic keywords. Ultimately, Paid Search is a very measurable form of media that will give you bang for your buck. There are an abundance of incentives to develop your own pure brand PPC terms, but it is advised to assess them on an individual basis. It may not be practical for some Australian brands, but for others, it could be necessary. Want to go further?  Get more details on PPC services contact St.George Web Design today.